Arlene Kirk’s voice hesitated and tears welled up in her eyes as she showed me her family quilt. Pointing to the middle of it, she read about her parents: “Cecil (1908-1997) and Mildred (1908-1991) Rawlings; June 23, 1925.” They were married for 65 years. After Cecil and Mildred’s deaths, Arlene and her four brothers and two sisters wanted to do something to honor their legacy. So they decided to make a family quilt to display at family reunions. A 10-inch quilting block was given to each of the Rawlings’ children and grandchildren—to decorate with their personal memories. A small, gold cross is pinned to one of the quilt blocks. “Faith was important to them,” Arlene says. 1. Remember that you were created for a purpose. 2. Absorb the fact that time is short. You are just passing through this world. 3. At the beginning of each week, write down one or two things that matter to not only you, but also to God. Examples: Spending time with God, having a strong marriage, understanding each of your children. Then, jot down one or two ways you can show these things truly matter to you. Example: Get up 30 minutes earlier each day to read the Bible; have a date night; plan how you will have individual time with each child this week and then implement your plan. 4. Decide whom you will serve—God or man. Sit down with your spouse (if you are married) and discuss what is seen, heard, and done in your house. Does it really please the Lord? 5. 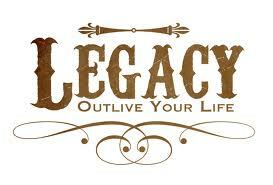 Cultivate a legacy of gratitude. You may want to have a blank journal and ask family members to write one or more blessings in it every day. 6. Encourage your children to pray along with you when making tough decisions, interceding for others, or asking for material provisions. As they see God answer prayers, they will learn to look to Him when they are in need. 7. Take time to write or record (audiotape or videotape) your spiritual journey—your childhood memories about faith, your salvation experience, what lessons God has taught you, etc. 8. Allow your children to sacrifice for a greater need. Perhaps eat meatless meals once a week and give the money to a local food pantry. 10. Create an atmosphere of understanding. Welcome your children’s questions about faith and family.